What is important to know about mobile marketing? In our days mobile marketing represents one of the most important sources when you are interested to obtain new customers, more sales, to promote goods, services, or to share some information. * SMS Marketing – currently is the most common delivery channel for mobile marketing. Theoretically speaking mobile marketing represents a promotional activity designed for delivery to the mobile phones, smart phones and other handheld devices, and for all these we can use different types of information – text, graphic or voice messages. Starting few years ago, more and more we understand that if we want to promote or to sell our services we must search and dig deeper in order to see how our visitors come to our websites, how they find about us or what are their sources. Because the era of mobile has already arrived, now our main issue is to understand how to take advantage of all benefits and how to create a great mobile marketing strategy. For example, if you research easily some updates from this niche of mobile marketing you will see that people browse 70 percent more web pages on tablets than smartphones or that 35-40 percent of users’ internet time is spent on mobile devices. 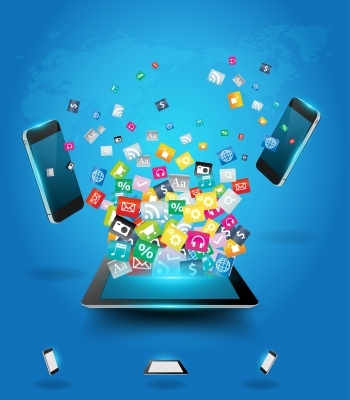 Once again it is very important to realize that mobile apps are becoming a “must have” in every marketing plan. In the same time it is important to know that even the marketing automation is well known, applying the concept for mobile apps is very new. Like an important conclusion of what we know at this time is that marketers will invest more and more in mobile apps and mobile web. They will pay attention to the quality marketing content, only in this way they will obtain great traffic from social media channels, potentials customers and not in the end new financial benefits. For any question regarding mobile marketing, new strategies for good results for your online project, please feel free to contact our team.